In the Buddhist religion, the lotus plant represents life's complex journey - from root to flower. Buddha is often portrayed sitting on the lotus flower, the ultimate symbol of enlightenment. In the murky waters where lotus flowers grows, life starts with the root. For the beautiful flower to emerge and blossom, the root must first live and be nourished by the muck. As humans, we often underestimate the role played by the unseen - by the muddy waters of our pasts and the growing roots that are the foundation of who we become. It is through life's often-complicated lessons that we attain enlightenment. Lotus Root Kitchen + Catering pays homage to the root of all things as the basis for blossoming. Our cuisine is rooted in a love of simple, fresh, seasonal ingredients and the chef's refined art of bringing together unique flavors to create a perfect dish that pleases both simple and refined palates. We deeply respect the ancient tradition of food as the center point for human connection and strive to engage with our guests and staff like members of our extended family. The world is a hectic place, but at the Lotus Root you will find simple food in a friendly atmosphere that serves a sweet reminder of all that is important in life. 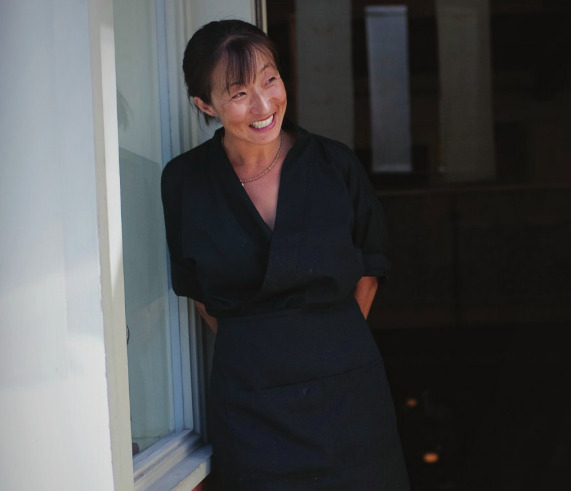 As the owner and proprietor of the highly regarded Honga's Lotus Petal in Telluride for nearly 25 years, Honga knows Asian cuisine and how to run a successful restaurant. But after selling the Lotus Petal in 2015 and moving to Ridgway, she wanted to get back to her roots; the core of how it all started. She yearned to reconnect with her passion for traveling and her love of food; she longed for a slower pace and a more simple way of life. And most of all, to be more intimately involved in creating beautiful, conscientiously sourced food for her new community. Honga's love of cooking and food comes from her adventures traveling the world; she has visited the kitchens of five star restaurants as well as tiny street food carts throughout Asia and beyond to learn her craft. In and throughout these diverse experiences, she learned the nuances and techniques of food preparation and refined her palate. She is Korean-born but raised in the United States, spending much of her youth in the Southwest where she developed a love of the outdoors - especially climbing, biking and skiing. She graduated from the University of Colorado with a degree in Fine Arts as a talented painter and sculpter and headed to the San Juan Mountains to reconnect with her love of adventure sports. For several years, she worked as a ski patroller, a sponsored athlete and ski model. 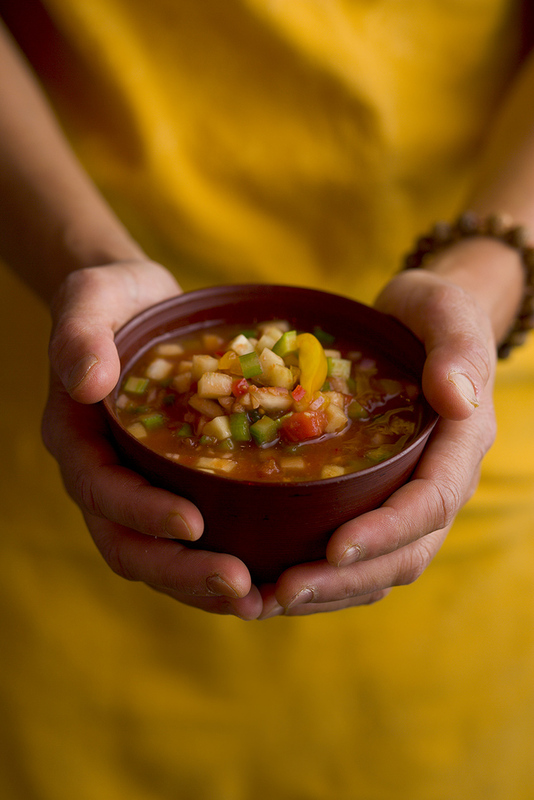 It was in 1987 that Honga consciously combined her two passions: mountains and cooking. She opened a food cart on main street Telluride called Vi-Tal Foods - a pun on vital and ital, a Jamaican term for a natural and wholesome way of cooking and life. Her food was an immediate hit and at age 26, with no experience in business or restaurants, she started Honga's Lotus Petal in downtown Telluride. The restaurant quickly became a Telluride staple - a local's favorite, a visitor's destination and a foodie's paradise. The popular, thriving establishment was glowingly touted by the New York Times, In Style, 5280, Ski Magazine and other world-class publications. Over the years, the Lotus Petal grew and grew - changing locations four times, each progression to a location a little larger than the previous one. As much as she loved her Telluride restaurant, she longed for simplicity and the opportunity to connect once again with her passion for cooking and the mountains - the root of her cooking endeavors. So she sold the Lotus Petal and a few months later, Lotus Root Kitchen + Catering was born - Honga's mission is to provide wholesome, tasty food to the people in her community. After all, it's the cycle of life; often we end up right back where we started. Honga loves her new life in sweet Ridgway where she lives with her son and daughter and balances work with yoga, mountain biking and enjoying the beautiful San Juan Mountains. The Lotus Root believes deeply in sourcing food in a conscientious manner in line with the best principles of sustainability. Whenever possible, our food comes from local farms ranches and purveyors and is grown in ways that pay homage to the earth.